Just less than two weeks ago, Facebook started enabling their Photo Sync feature for a limited audience for testing. The feature allows users with iOS devices to have any photos they take with the device automatically uploaded to a private album on their Facebook account to help make sharing the photos easier than ever before. The way the photos automatically go to this album works a lot like Apple’s Photo Stream. Today, Facebook users should begin seeing the banner above in their news feeds. Facebook has enabled the Photo Sync feature for all users, enabling them to join in on uploading their life to Facebook as it happens. You can tap “Get Started” to begin using Photo Sync, or you can tap cancel to opt out of using it. Since the photos are uploaded to a private album on Facebook, no one will see the photos that are automatically uploaded until the owner of the Facebook account has a chance to choose the ones that are posted and the ones that are not going to be posted. It’s important to note that even though the photos in this private album aren’t being shared with your friends, they are still going to be stored on Facebook’s servers. You will not find an update to the Facebook application in the App Store with the new Facebook Photo Sync feature included, as Facebook has managed to pack the feature into the current version of the Facebook application. Today, we’re introducing Camera, a new mobile app that makes using Facebook photos faster and easier. When you launch the app, you’ll see a feed of just great photos from the people you care about. You can swipe to see more of any album or tap to enlarge an individual photo. Now you can quickly share multiple photos all at once instead of having to post one at a time. Just select the shots you want to share by tapping the check-mark on each photo and then hit post. You’ll have a chance to add a caption, say where you were and tag friends before you share. It’s also easy to edit photos with new tools like the ability to crop, rotate and add filters to any picture in your camera roll. Camera will be available for iPhone starting later today. Get a link to the app texted to your phone or just search for ‘Facebook Camera’ in the App Store. Click here to download high-resolution footage of Facebook Camera. 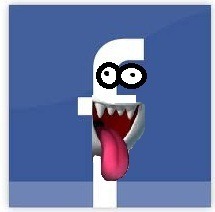 Facebook compromising user privacy! Don’t trust fake promises.. Now Phone number on sell! Facebook recently announced on its developer blog that it will now be "making a user’s address and mobile phone number accessible as part of the User Graph object." In other words, the site will now let third-party applications (think Farmville or that spammy app your friends keep falling for that promises to show them who is stalking them on Facebook) access your contact information. "Because this is sensitive information," reads the announcement, "[…]permissions must be explicitly granted to your application by the user via our standard permissions dialogs." Take a look at the example permission dialogs box, however, and tell us if you think this is enough. That we believe they are planning for long as they make authorize user ID via phone number and login via it. So what they goanna sell out next? Your photo and information on dating site … No wonder if that happened. We suggest to stop playing games and using Facebook application to stop spreading your information undesired manners.